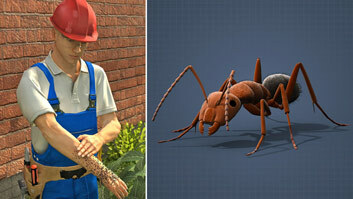 People may be scratched or bitten by many different kinds of animals, and even by other people, at work. If a person is bitten or scratched by a small animal, make sure to wash the wound vigorously with an antiseptic soap and warm water. Making noise while hiking is a way to let the wildlife know you're near and most times they will avoid you. 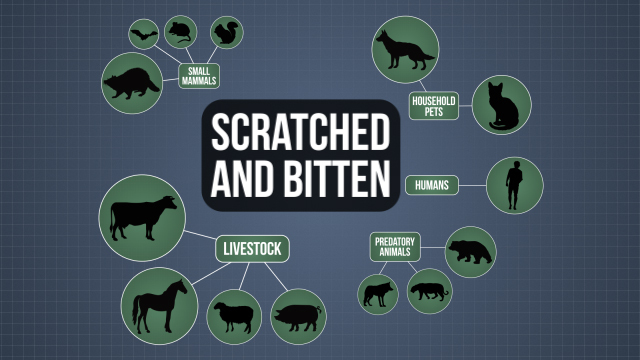 People can receive bites or scratches from small animals, larger animals including livestock and large predatory animals, and even other humans. All of these may be situations that require at least simple, basic first aid, and in some cases they may require additional emergency medical care. In this course, you'll learn the basics of what to do if someone is bitten or scratched by a small animal, livestock, a larger predatory animal, or another person. What kinds of animals might bite or scratch a person at work? Many kinds, including small animals such as squirrels; larger animals, including pets, such as dogs; large predatory animals, such as bears; and even people. Does a minor animal bite or scratch pose a health threat? Yes, even if a scratch is minor, first aid should be applied and seeing a doctor may be appropriate. 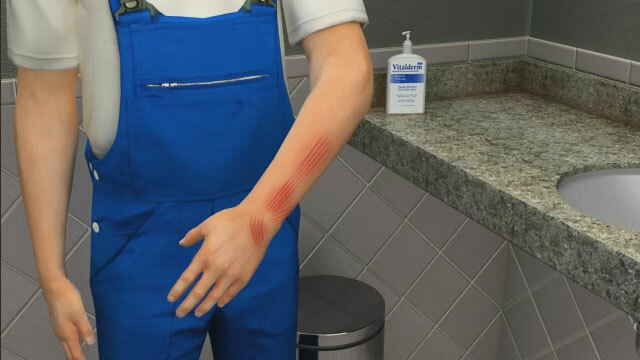 These bites and scratches can lead to infections and disease (such as rabies). .
Is first aid enough, or is it necessary to see a doctor? There may be times when it's necessary or very wise to see a doctor in addition to receiving first aid. It's better to be safe instead of sorry. As with most injuries and illnesses, the best way to deal with animal and human bites is to avoid getting them. Staying clear of animals and not handling or cornering them will go a long way in helping you do this. 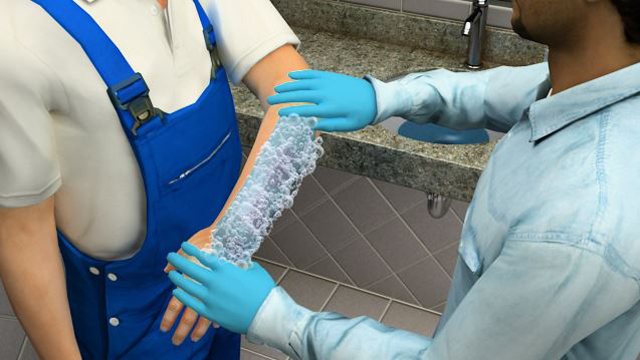 In many cases, first aid for a minor wound will include cleaning the wound area with antibacterial soap and warm water, applying antibiotic ointment, and bandaging the area if necessary. 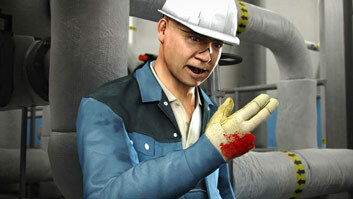 More serious wounds will call for more first aid measures. In addition, however, it's often necessary to get the person to additional medical care. 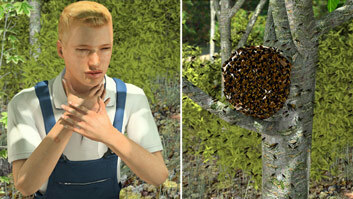 This is because the wound can often get infected, or the animal may have a potentially fatal disease such as rabies. Remember that even human bites carry with them a risk of infection from germs in the mouth.